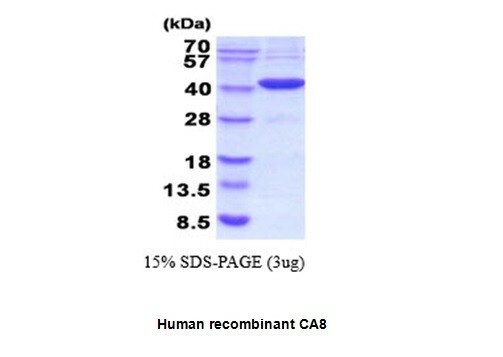 Carbonic anhydrase-8, human recombinant | P1047 | BioVision, Inc.
A protein lacks carbonic anhydrase activity, involved in Cerebellar ataxia, mental retardation, and dysequilibrium syndrome 3 (CMARQ3). Specific activity is defined as the amount of enzyme that hydrolyze 1.0 pmole of 4-nitrophenyl acetate to 4-nitrophenol per minute at pH 7.5 at 37C. 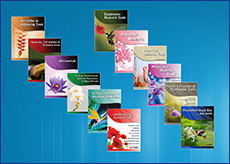 CA8 was initially named CA-related protein because of sequence similarity to other known carbonic anhydrase genes. However, this protein lacks carbonic anhydrase activity (i.e., the reversible hydration of carbon dioxide). It continues to carry a carbonic anhydrase designation based on clear sequence identity to other members of the carbonic anhydrase gene family. Defects in CA8 are the cause of cerebellar ataxia mental retardation and dysequilibrium syndrome type 3 (CMARQ3). 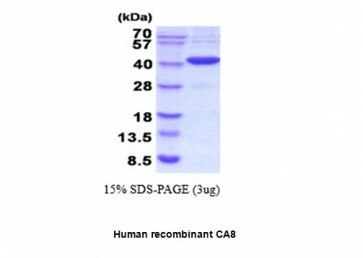 Recombinant human CA8 protein fused to His-tag at N-terminus, was expressed in E.coli and purified by using conventional chromatography.